Hello friends! 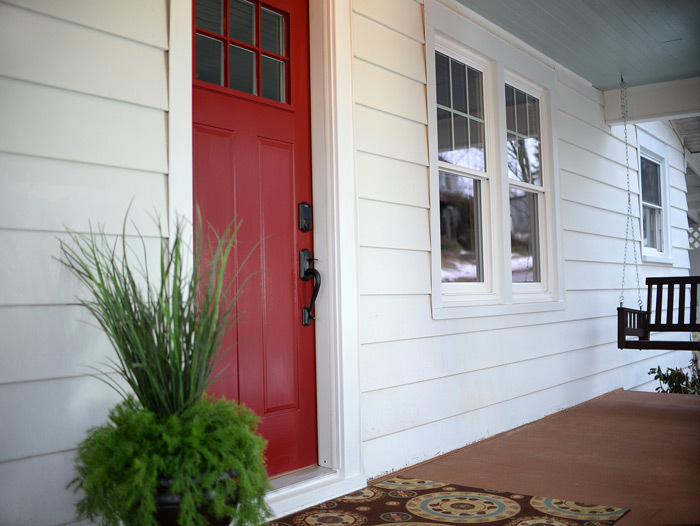 Today I wanted to share with you some of the details on the new door and front porch at the flip house. 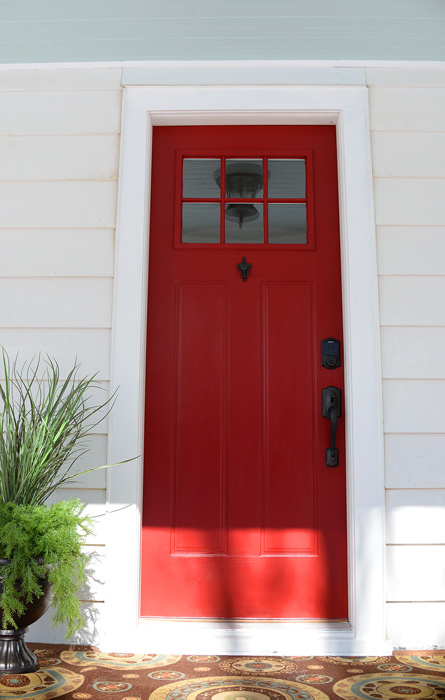 If you recall, last week I shared the before and after of the new, red front door. 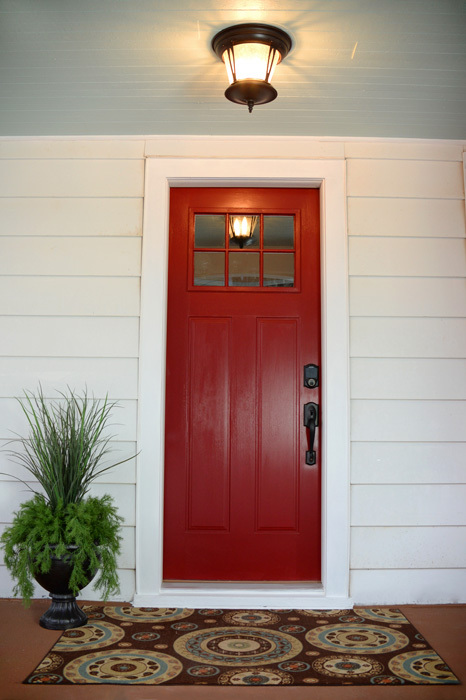 I used Modern Masters® Front Door Paint in the Sophisticated color. 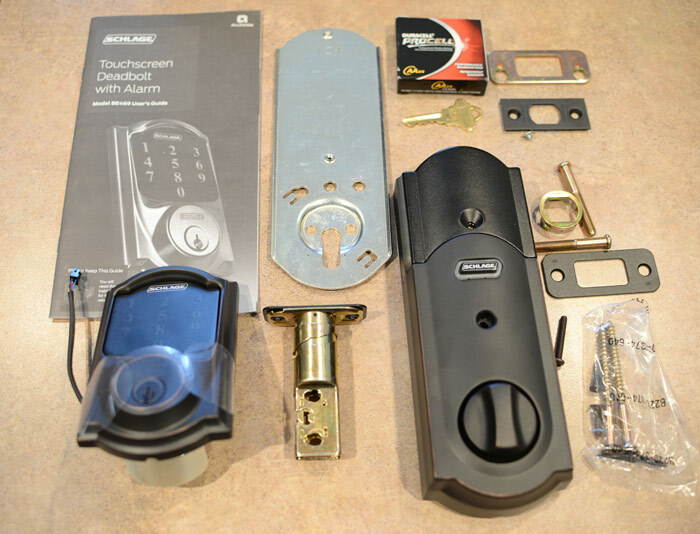 For the hardware, I chose the Schlage Connect™ with handleset and accent lever. 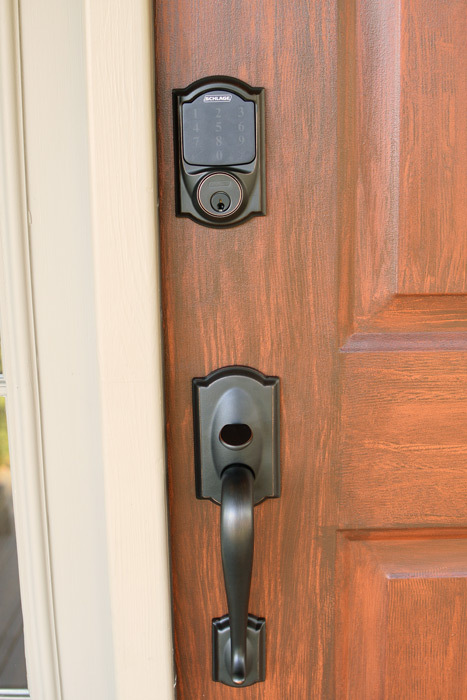 This is the exact set I installed on the front door at my primary home. I cannot say enough good things about this hardware. I love, love, love it! If I ever move, the first thing I’m installing at my new home is one of these handlesets. 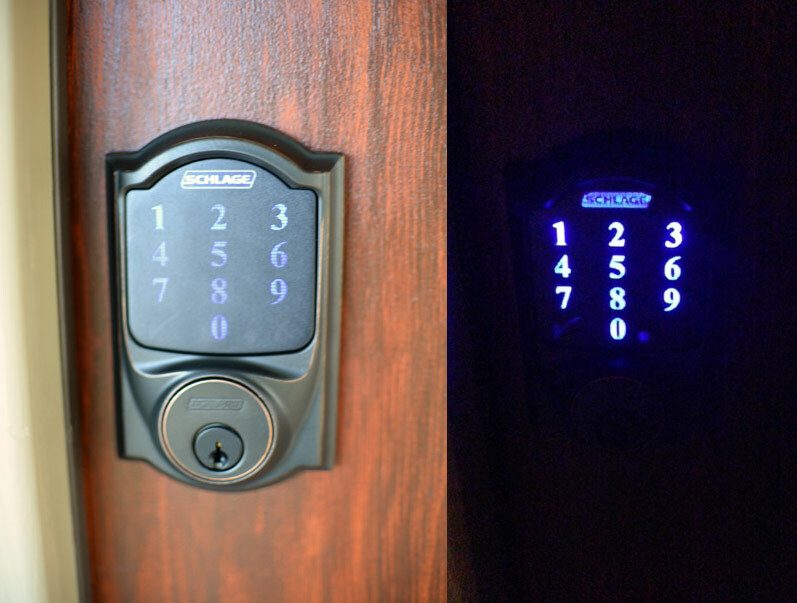 The touchscreen feature is so convenient and it doesn’t interfere with the beautiful aesthetics of the hardware. 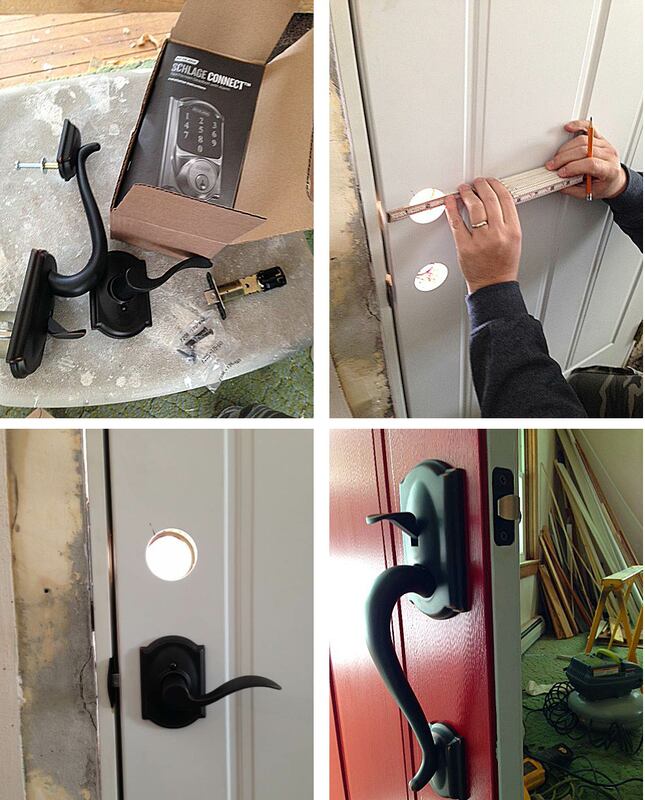 For step-by-step instructions on how to install this set, check out this post. 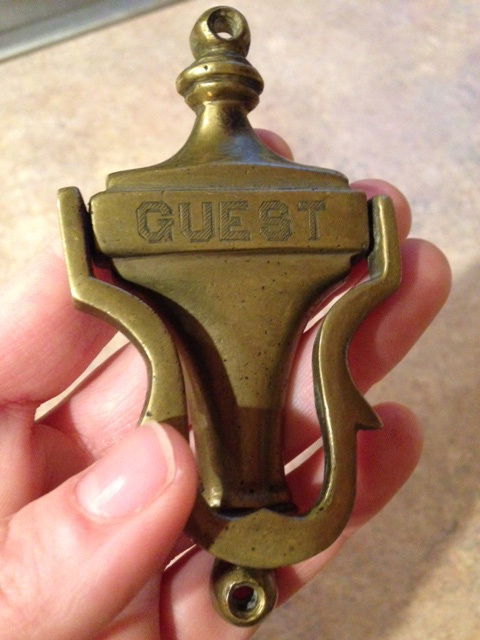 Along with the Schlage hardware, I installed this 1950s knocker to the door for more “bling” and to add a special feature true to the period of the home. I purchased this on eBay for $11. 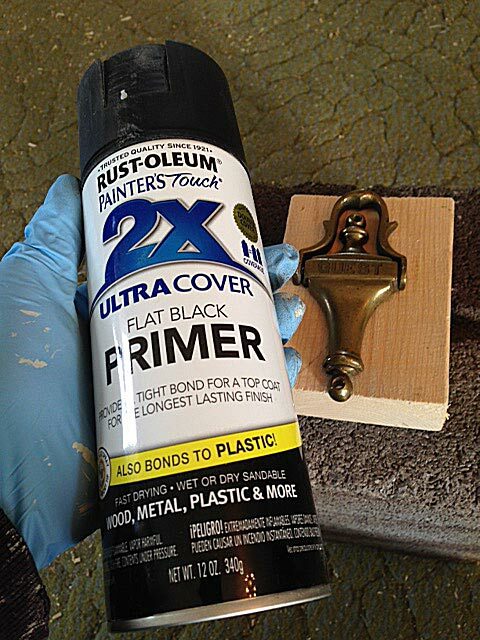 I gave it a coat of Rust-Oleum® flat black primer, then a coat of oil-rubbed bronze metallic spray paint, to match the hardware. 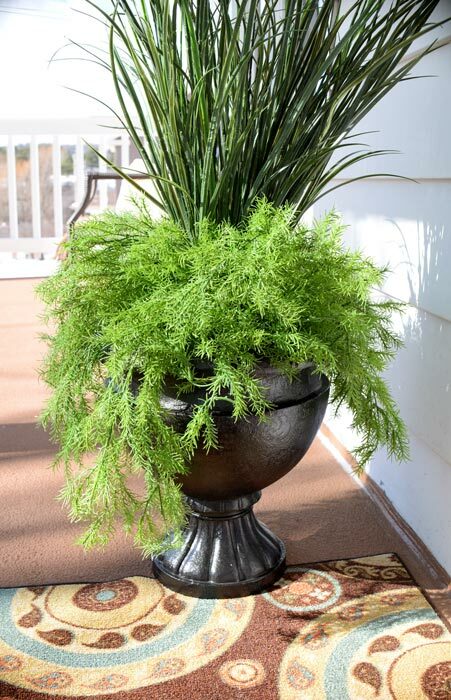 I added some accessories to the porch as well, to give it a more upscale feel and tie all the colors together. 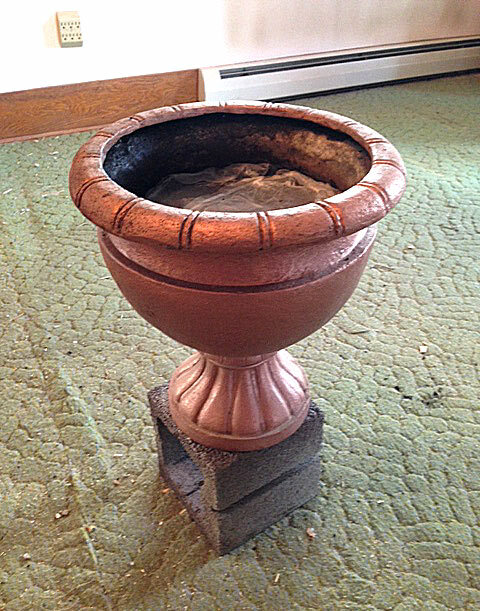 I painted an old planter with the same Rust-Oleum ORB spray paint I used for the knocker, then added some faux greenery from Hobby Lobby. The rug is from Ross. I think I paid $12 for it. I found an adorable plaid, wool blanket at a thrift store that had all the right colors in the porch palette. I bought the pillow for $7 at Gabes. 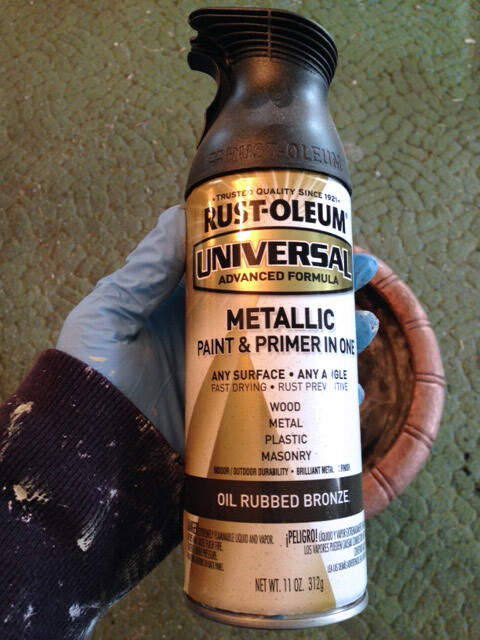 I gave it a good coat of Rust-Oleum NeverWet® to weatherproof it. 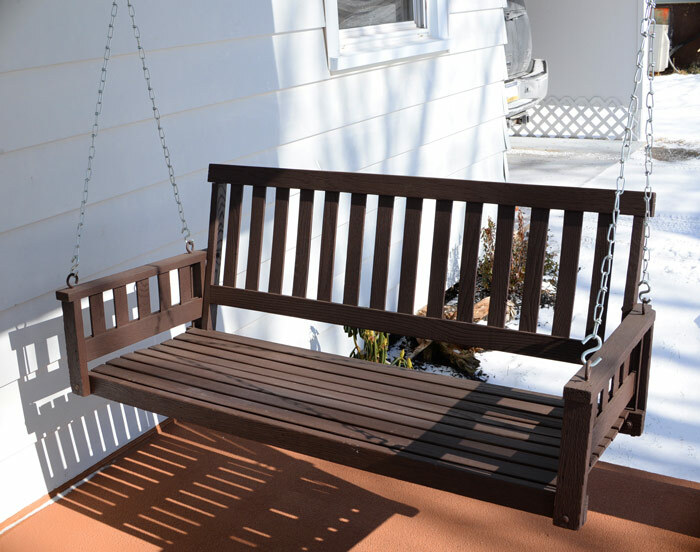 I used my paint sprayer to give new life to an old porch swing left at the property. 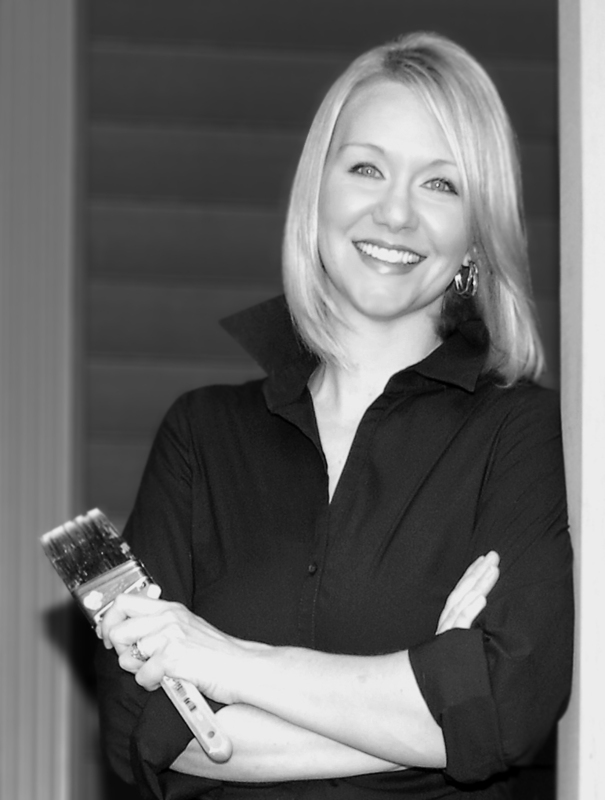 I chose a water-based solid stain in a mahogany color. 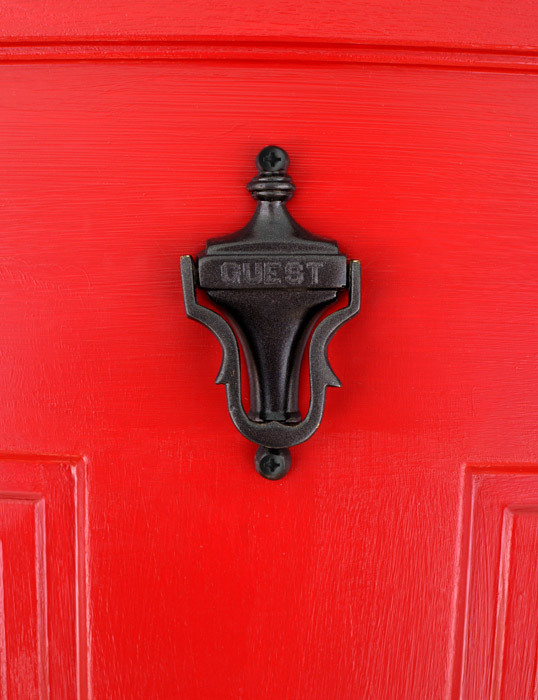 Special thanks to Schlage for providing, at my request, the handleset for this door, and to Rust-Oleum for providing the spray paint and NeverWet. As always, all opinions and projects are 100 percent mine. 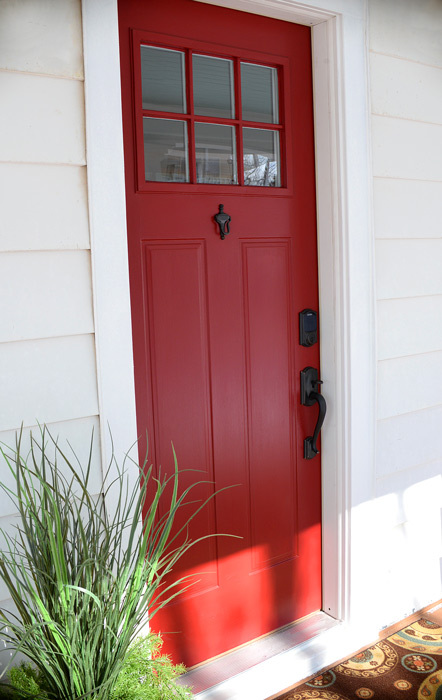 This entry was posted in Decorating, Exterior, Flips, Furniture, How to, Thrifty finds and tagged 50s door, craftsman door, Oil-ribbed bronze hardware, ORB planter, Red front door by Susan. Bookmark the permalink. 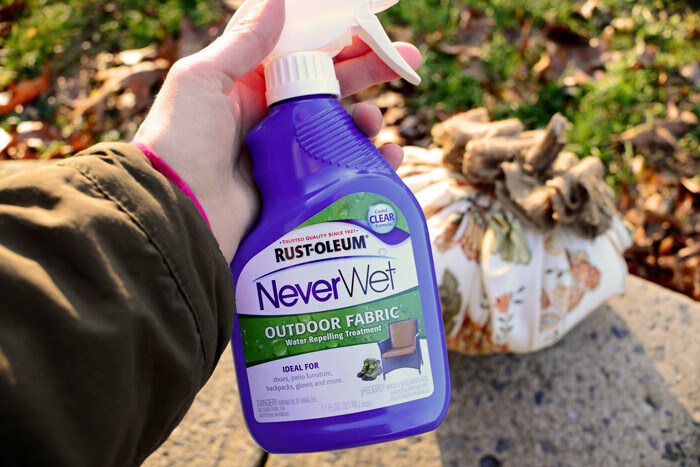 I hadn’t heard of Never Wet. I will be trying it on my outdoor furniture cushions. They were treated when I bought them, but I have had them 3 years. I will wash them then add this treatment and I think they will be good as new! Love the transformation!!! 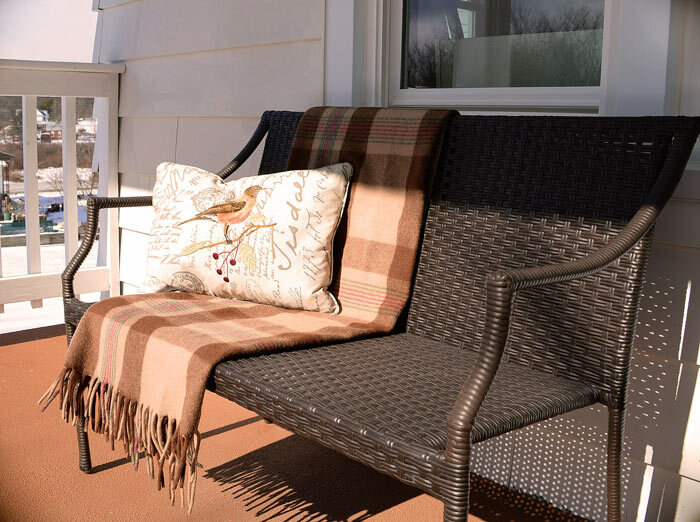 It’s amazing what a little TLC can do to a porch !!!! Great job!!! 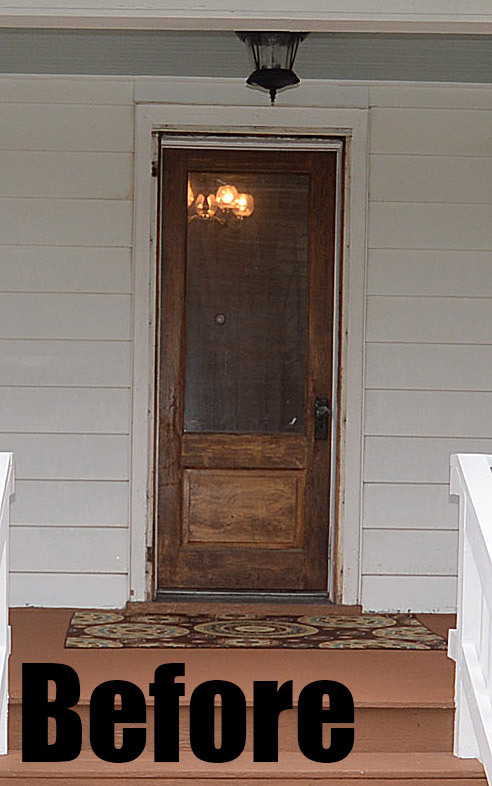 The door and it’s jewelry are beautiful as is the porch. It all looks so pretty together. Great job. What an improvement! It’s lookin good! It all looks SO sharp! I just wanted to say that I am in Awe,of the transformation of the flip house! Awesome, awesome job! It looks amazing! Give yourself a well deserved pat on the back! I look forward to the emails I get , (because I’m subscribed to you) to see the pictures with all the beautiful work and transformations you do. You truly are an inspiration to me!! Also, what is that purple color in the next room called? It’s a beautiful shade! I would love to know the name of it so I can purchase it for my bedroom. Thank you. Keep up the GREAT WORK!